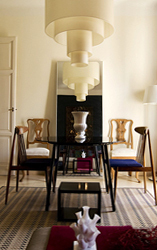 When we host a sale it is typically done within the residence from which the contents are being sold. 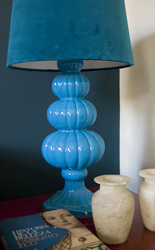 We will turn your home into a boutique where all of your possessions are displayed in an attractive light. We price each and every item to get you the most amount of money with complete liquidation in mind. And we use various avenues to advertise your sale – bringing in antique dealers, collectors, and everyday people. We now offer home staging services with existing furniture to keep your costs down and your profits up. When you hire Succor to stage your home you’ll get a team of designers who know what to keep and what can be thrown away, ensuring a successful estate sale once the home has been sold. We will organize closets and cupboards to show well, box items that won’t and store them on premisis. And we will ensure all valuables are securely kept away, either with you or someone you trust. THE END RESULT IS A STAGED HOME FOR YOUR REALTOR AND AN ESTATE SALE FOR YOU. When you consign an item with Succor Estate Sales we handle all of the details, getting you the most money with the least hassle. Your item will be well cared for while in our possession. Either it will be placed in our retail location, at an estate sale, or sold via online sources (eBay & One Kings Lane). If sold online we will handle everything from photographing the item and writing the description, to ensuring the item is sent securely to it’s new home, with complete customer satisfaction. We use care when helping the elderly and we think it’s important they keep pieces of home with them no matter where they go. Our design services are available to turn a small condo or a small room into a modern resemblance of home. We can work closely or intuitively with them to decide what furniture and décor should move with them and what pieces will remain for the estate sale. DON’T SEE WHAT YOU NEED? ASK. WE’RE HERE TO HELP.